It was a great India; a vast and varied India that Swamiji loved, lived and walked through during his parivrajaka days. From the majestic and sublime Himalayas to the tempestuous sea at Kanyakumari, through the burning deserts of Rajasthan, the Rann of Kutch upto Narayan Sarovar, Dwaraka and Somnath on the western shores, the evergreen forests of Terai, the vast Gangetic plains, the green fields with tall coconut palms of Kerala, Swamiji journeyed on in silence, with a staff and begging bowl, his days spent sometimes in royal palaces and sometimes in the huts of the lowly and poor. And all through his journey he saw the huts of hungry millions, where the cry for food had been silenced by centuries of hopeless despair, the royal palaces reveling in luxury at the cost of these very millions, the cloistered monastries sheltering monks for individual liberation, the pundits and the priests distorting the glorious Upanishadic Hinduism to heartless casteism and don't-touchism, the ruthless exploitation of the masses and women everywhere by the so-called upper class, and the faithless derision of her neo-educated and denationalized youths towards everything Indian. 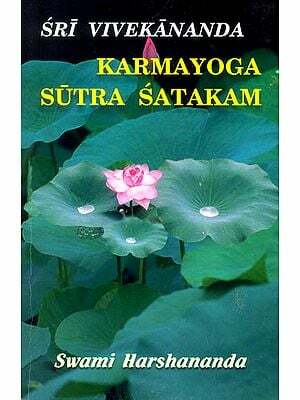 Yet there was no one, who better loved India, who was more proud of his motherland than Swamiji for he knew the secret springs of her life which sustained her through the ages, and which were waiting to burst forth once the encrustation of centuries was removed. He knew that once this was achieved and a new India emerged through a revival of Her spiritual culture, no power on earth would stand before her newly awakened energy. 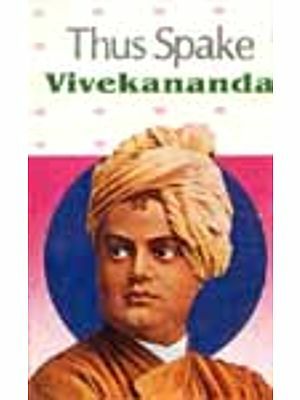 We have made a humble attempt to present before our readers an illustrated book 'Swami Vivekananda and the Emergence of India through Spiritual Culture' which consists of a short biographical sketch of Swami Vivekananda and a compilation of quotations from Swamiji's writings or spoken words keeping in mind the main theme of the book. 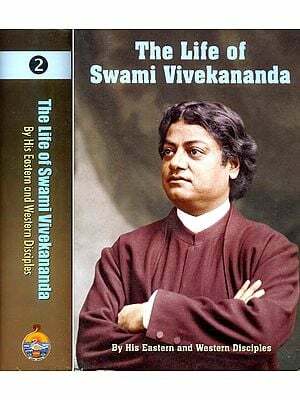 We have tried to include almost all the available pictures of Swamiji, pictures of several persons and places connected with his life and many paintings which portray some of the events of his life. Under each photograph we have tried to provide suitable information (when known), which includes the date and place where the photograph was taken, the circumstances under which it was taken. In some places suitable quotes from Swamiji's works have been inserted. 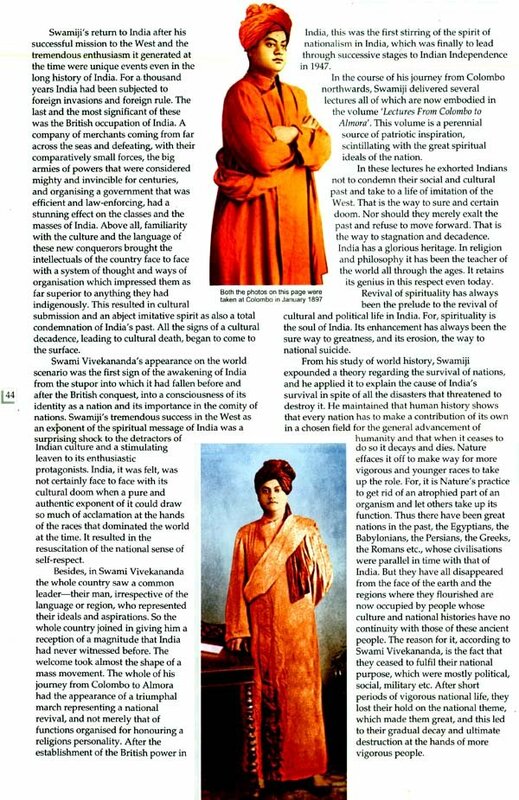 A section on Ramakrishna Math and Ramakrishna Mission - their history, ideals and activities is also added as the founding of the Ramakrishna Order is one of the greatest contributions of Swami Vivekananda in his scheme of rejuvenation of India, powered as its is by his Master, the Incarnation of the Age, Sri Ramakrishna through an universal ideology which embodies the eternal truths of the spiritual world.